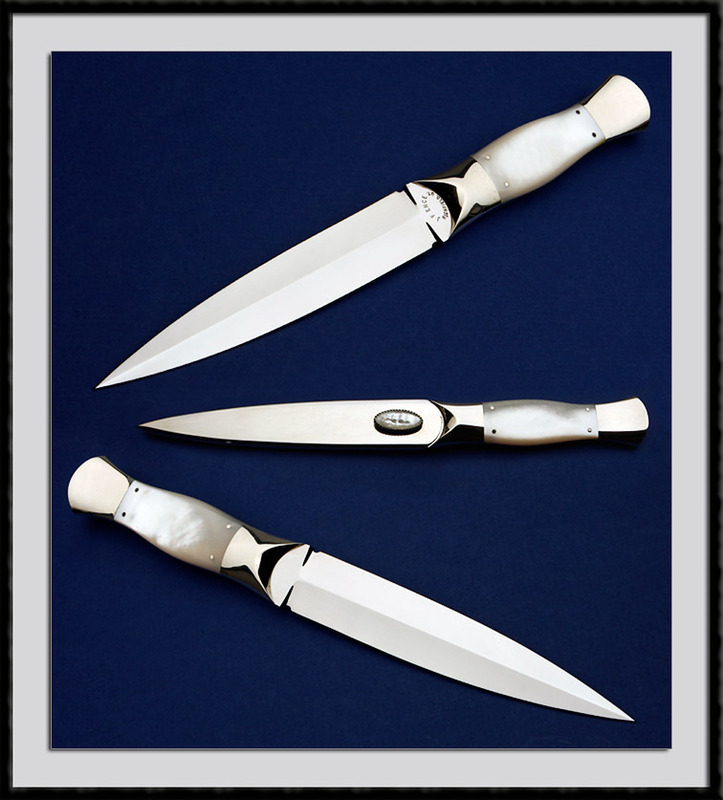 J. F Ence crafted this Dagger, ATS-34 steel blade, BL = 5 1/2"", OAL = 10 1/4", Tapered Tang, 416 SS Bolsters with MOP scales. Comes with a matching SS Scabbard. Condition is near Mint with a few handling marks.